Recently, I had the opportunity to share some thoughts on AAC at the Spectronics Inclusive Learning Technology (ILT) Conference, in Gold Coast, Australia. It’s hard to explain the level of enthusiasm and energy for all things AAC and AT to those who aren’t familiar with that passionate group of professionals and parents. As a newbie, I was especially impressed with the level of warmth and support provided to anyone there who reached out for information or encouragement, and the ways that the speakers helped participants come away totally re-energized. Since it may have been a bit too far away for many of our prAACtical friends, I thought I’d share some of the websites of other keynote speakers and featured presenters I met along the way. Kevin Honeycutt – Who challenged us to share what we are doing EVEN WHEN IT ISN’T PERFECT. Don’t be a silent genius. Share what you are doing. David Edyburn – Who reminded us to look to the evidence base when deciding how to proceed. Use what works. Greg O’Connor – Who helped us consider using the term ‘Good Practice’ instead of ‘Best Practice,’ because the latter implies that it can’t get better. With new information, experiences, and research, it can. It needs to. Gail Bennell (@gailbennell) and Aaron Overington (@aaronoverington) – Who helped to disseminate conference happenings on Twitter and encouraged us to stay connect. As Aaron mentioned, the lines between our professions and roles are sometimes blurred. In the world of AAC, that is particularly true. (It’s embarrassing to note that, occasionally, the parents know more about AAC fundamentals than the SLPs working with their children. C’mon, guys! WE are supposed to be helping THEM!) 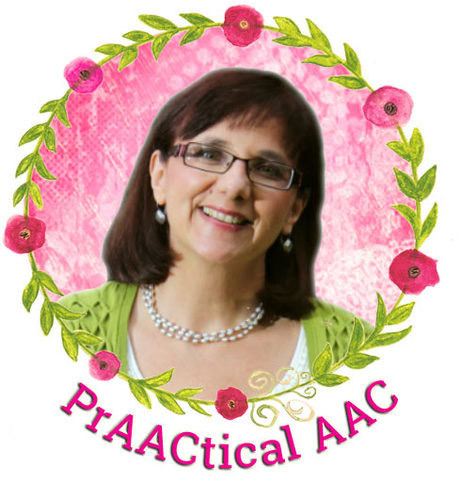 I appreciated the opportunity to connect with kindred spirits (hello, Harmony Turnbull; @SP_Harmony ) and learn more about the life of AAC practitioners from Trina Phuah (@TrinaOT), Charlene Cullen (@chacullen), Amanda Hartmann (@amandahartmann8) and others. Too many to mention. It was THAT good! Thank goodness Mic Cullen was there to document it all in his photos. The ILT conference was a terrific opportunity for me to reach out of my SLP box and learn more about educational technology and ways that it can be used to increase the learning, achievement, independence, and creativity of people with significant communication challenges. If you haven’t stepped outside of your own field recently, I highly recommend it. We are surrounded by colleagues and families who have much to teach us. There were many wonderful sound bites from the conference. My favorite, from Kevin Honeycutt, is a variation of one I first learned from Cristin Lind (health care practices consultant) back in 2011. I combined that with a saying from Bre Pettis (entepreneur of MakerBot fame) and Kio Stark (author of Don’t Go Back to School: A Handbook for Learning Almost Anything) in the graphic below. You can catch more of the ILT 2014 buzz via their Facebook group or browse the twitterfeed (#ILT2014). Not enough resources for you? Check out this document, put together by the team at Spectronics. If it all sounds too-good-to-be-missed, and it IS, you can still register for the virtual conference and see many of the presentations online. 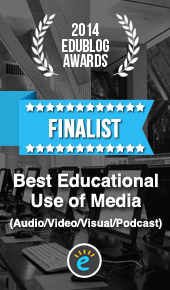 They’ll have about 40 hours worth of presentations for you to peruse. It was such a pleasure to meet you Carole, as well as all of the wonderful people who work in assistive technology – the teachers, therapists, IT professionals, and most importantly the parents who are such an important part of the process, and are experts in their own right. I’m looking forward to staying connected to people I met – in person and online! Same here, Gail! Thanks for all your wonderful work tweeting and blogging!